1. You choose the jingle you like best. 2. We work with you to customize the lyrics to suit your unique selling proposition. 3. Then, our team of professional studio singers go to work. We create a complete jingle package — customized just for you. Jingle Production with No Risk! How much does a jingle cost? 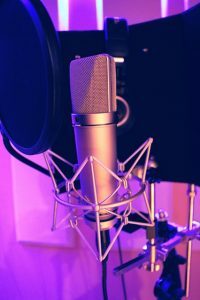 You receive a complete jingle package, including sing-ins, sing-outs, donuts, and alternate mixes in both 30-sec & 60-sec versions, fully prepped and mastered, ready for immediate use in your TV spots, radio commercials and online. To order, simply email: jack@jingleimage.com or call Jack directly at 214-636-5887. He’ll be happy to speak with you!